Vera Brunner-Sung is Assistant Professor in the Department of Theatre at The Ohio State University. 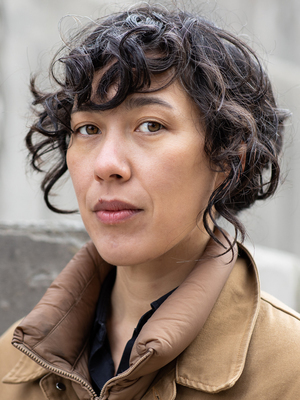 She is an award-winning filmmaker who uses experimental, documentary, and narrative techniques to explore the relationship between place and identity. Her work has been presented at festivals, museums, and galleries in the U.S. and abroad, including CPH:DOX, Leeum Samsung Museum of Art, MoMA PS1, Torino Film Festival, San Francisco International Film Festival, Images Festival, the Hirshhorn Museum, and the San Diego Asian Film Festival. Her first feature film, Bella Vista, had its world premiere at the International Film Festival Rotterdam in 2014. In addition to making films, she is a programmer for the Big Sky Documentary Film Festival and a writer; her essays, reviews, and reports have appeared in Sight & Sound, Cinema Scope, and Senses of Cinema, among others. She is currently co-directing a documentary on the work of artist Do Ho Suh, as well as developing a new feature. She is a 2015 Fellow with the Center for Asian American Media.